Are you familiar with the site eReach? If not, you’ll want to check it out today! There’s a special deal on April 30th for Totter’s Otterville. Each day, eReach sends subscribers an e-mail offering a great deal just for that day. I’ve purchased things through the Big Deal and it’s been a great positive experience. Who knew otters could be so much fun! Party for 8 with food, drinks and fun for only $49 ($104 value)! Birthdays are opportunities to create incredible, lifetime memories for your children and their friends and Totter’s Otterville is the place in Greater Cincinnati to create those memories. 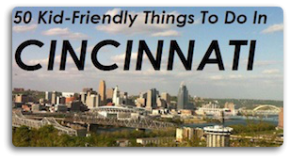 Totter’s Otterville, conveniently located near Highway 16 in Covington, Kentucky, is a spectacular, sprawling play land filled with train tables, puppet shows, fire trucks, and dress-up villages which give children the opportunity to be incredibly active and learn through play. Today’s eReach.com Big Deal offers you, your family and your children’s friends the opportunity to have a party in this fun-filled village at a 50% discount; it’s an opportunity to have a party for 8 children, with food, drinks and fun, for only $49. That is a $55 savings! Today’s Totter’s Otterville Big Deal can help you celebrate your special day in an extensive indoor/outdoor play land at less than a ¼ of the cost of other local children’s gyms! Totter’s birthday party packages include an hour of play facilitated by one of Totter’s friends, a pizza party, open access to Totter’s Otterville for the rest of the afternoon, and a special free day pass for the birthday girl or boy’s future visit. If you have a little fireman or woman at home, consider reserving the fire truck birthday room. Your little firefighter will thank you as they, and their friends, run around in fireman suits and play on the two, REAL fire trucks in this private room! Totter and his staff believe that children learn through play and learn best when educational opportunities are presented in the midst of physical activity. This is why each of Totter’s Otterville’s unique play areas focuses on specific development and learning opportunities which let children’s imaginations, and their bodies, run wild! Some of the many play and learning stations you’ll encounter at Otterville include a ballerina dance area, a life-size Lego play land, a walking maze, a dino-digging archeology area, and outdoor train rides through the grounds. In Totter’s pretend village play rooms, children can dress up and have fun imagining they run grocery stores, diners, and post offices and in the newly-remodeled Ball Pit and Climber, children can run, jump and climb to their hearts’ content. It’s a memory your little birthday boy or girl will talk about for years at a cost you won’t be paying off for months. 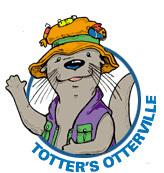 Reserve your Totter’s Otterville Birthday Big Deal today and celebrate this year Otter style with fun, play and imagination. For a full map of Otterville and a calendar of events visit them at www.tottersotterville.com.